Thanks to Steve Katz for forwarding this to me. I don't know if I agree with every example, but with the sentiment... 100%! We recently had a conversation on HZL. then I did when I had your attitude. I think I fell into a trap - of my own making - towards the end of that conversation, in that I based opposition to HZL on "outside" sources: Christian or Moslem sites that could be dismissed as pseudo-science. In doing so, I violated one of my own cardinal principles (learned from RAEK) - viz., that Torah and Yahadus are self-referential. Prof. Aumann graciously commented on my blog post on his pshat in kavu'a. last week. For easy reference, the items in this message are numbered. mechanics; I guess that's what you mean by "indeterminant" or "hybrid." from the outcome -- can influence it. that gets separated (from the main flock) comes from the majority." by the flock itself, when it scatters because of the disturbance. exactly the meaning given above. translates the passage as "let us force them to scatter." a separation, like at the bottom of ע"א. Written tongue in cheek of course, but very important. I had the privilege of spending this past Shabbos in New Rochelle, where Prof. Yisrael Aumann was scholar in residence at the Young Israel. Moreover, he, his nephew (and my chevrusa in the Mir back in '84 for Kesuvos), Rabbi Uri Aumann of the extremely important organization Miktze Ha'Aretz (to the benefit of which the Shabbos was dedicated) and his granddaughter were all guests of my father and his wife for Shabbos lunch, which we enjoyed immensely. In the course of one of Prof. Aumann's presentations, he offered his own explanation of the principle of kol kavu'a k'mechtza al mechtza dami. The principle of kavua is an old nemesis of ours. RMB and RRw discussed probability and the halachot of rov and safeq. heard an explanation that clicks with me so far." This paper is IMO a must read for anyone with an interest in this subject. The principle of kavua is arguably not based on the laws of probability, but rather serves as a limitation to the principle of rov. 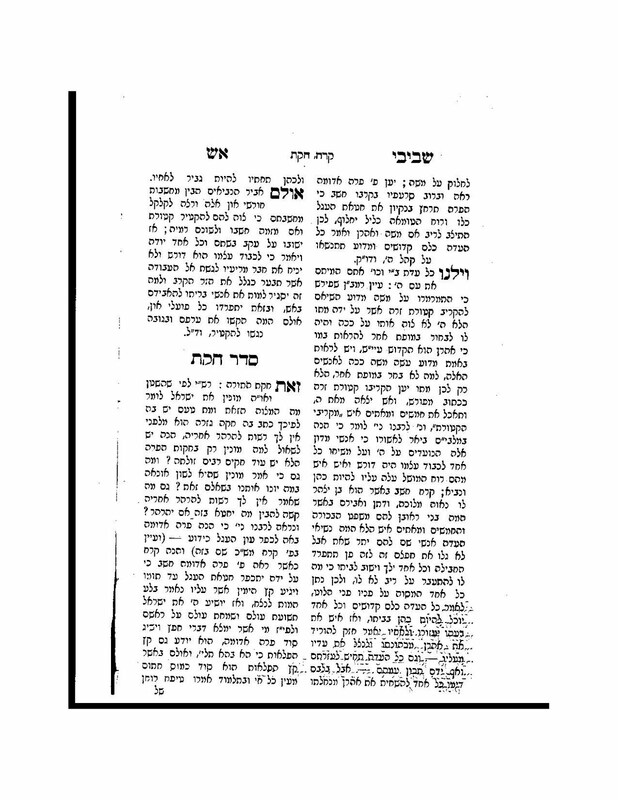 See R. Shimon Shkop, Sha'arei ‘Yosher, no. 4, who explains that the principle of kavua is an innovation of the Torah to treat karvua items as part of the larger category to which they belong rather than as individual entities. When an item is considered kavua, the focus is on possibilities, not probabilities. A piece ofmeat from an established location can either be categorized as kosher or non-kosher. When the piece in question is only subject tothese two possibilities rather than the probability that it originated from a non-kosher store, the principle of rov is no longer applicable as the possibilities are equal. If the piece is not subject to kavua, the probability that the meat originated from a kosher store will determine whether the piece is permitted. Sometimes I think I understand that approach, sometimes not. Depends on atmospheric conditions, I guess... Anyway, another approach is here. Now, what Prof. Aumann said is that he believes the logic behind kavua is the law of Moral Hazard. You can look up the linked Wikipedia entry. The way Prof. Aumann explained it succinctly is that even if you are perfectly willing to pay double the premiums, an insurer will not issue you a second identical policy on your car. This is because you now have an incentive to disregard your normal parameters of morality and arrange to have your car stolen - after all, you will make a tidy profit on the theft. You might not even make such arrangements - you are, of course, a very moral person - but you may be more negligent about removing your keys from the ignition and locking the door. It might not even be a conscious reaction. Kol d'parish eliminates any "moral hazard." I was not active in generating the safek, and neither my conscious nor subconscious issues bear on the scenario. In a case of kavua, however, I was active in creating the safek. I went into the store, I threw the rock, etc. Therefore, my issues bear on the scenario. For example, I might have a subconscious drive to eat treif which impels me to a non-kosher store - of which I myself am not conscious. But I think the Tosafos there solve the problem, v'duk. Very Izhbitz. Especially fascinating is the intriguing, implicit condemnation of Na'aseh v'Nishma. 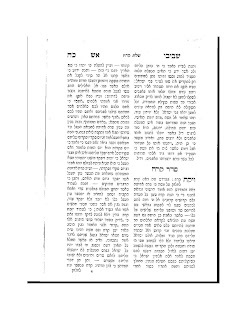 In HaModia this past week there was an article about the abuse of heter meah rabbonim in our community. (Notes: 1. Pretty gutsy for HaModia; 2. Means the problem has reached proportions so great that it can no longer be ignored.) And we're arguing about worms in fish?! I read on your blog that you think masturbation is selfish. I am a young  guy and enjoy doing it. From a psychological perspective it is a positive expression of sexuality. The reason why it is my ultimate goal to stop is because that is the halachic reality. However masturbation is completely normal and there is absolutely nothing perverted or selfish about it. I would appreciate It if you explain what you mean, and if you thing I am entitled to disagree with you and still be considered an orthodox jew. That you enjoy doing something does not make it right. The Rambam tells us that we must understand that to eat a ham sandwich is very pleasurable and enjoyable, and that we nevertheless refrain from it because of Ratzon Hashem. If sexuality was given by God to his creatures as a means of bonding (not to mention procreation), I fail to see how how one can assert that solitary sexuality is a positive psychological activity. Hence, I am not sure on what basis you assert it to be "normal." Perhaps by societal norms, but not by the norms expected of us by our Creator. Since perversion is a societal norm, it is in constant flux and cannot be an objective measure. Homosexuality was once regarded by greater society as a perversion, and now it is not. As to being selfish, the more proper term is self-centered. You certainly are entitled to disagree with me and still be considered an Orthodox Jew. But your arguments here are based on self-validated premises, not on solid reasoning. I am happy to continue the conversation. I will be blogging it, leaving you anonymous, of course. I am currently in camp [deleted]. I can say with full certainty that this is the worst place on Earth. The institution preaches this silly pro-israel philosophy, in an attempt to galvanize a fervent zionistic passion within the kids here.. all of the kids could not care any less about israel! Yes obviously there are some people that care about the camp but for the most part, it is full of people that completely flout religious law, openly, in front of the camp's supervisors. Negiah, tznius, are all secondary to a silly passion for a jewish state most of them dont truly know a thing about. I personally follow israeli politics very religiously and i certainly wouldn't say im not pro israel, but this camp is just an insult. Im a lifeguard, there making us do mixed swimming which is totally ridiculous. I have some friends so I wont be killing myself, but the beis medresh is non existent and the rabbi isn't coming for another two weeks. This camp is the epitome of causing kids to have absolutely zero regard for religious values whatsoever, it is extremely frustrating. On the bright side, I have a very competent friend as my chavrusa next year, and the group as a whole is looking good. This camp accomplishes so little, the environment is so religiously and morally depraved it is really absurd. Im sure many have questioned the authenticity of the Zionistic fervor here, and I certainly wont say this complaint is distinctively unique on my part.. but I can say that for a camp that is regarded as the most religious co-ed summer camp out there, it is truly a disgrace. I look forward to keeping you posted about how things progress for me next year. I am entering the year with a very optimistic disposition so I think it will be productive for me, assuming I make it through the next 30 days. From a note I recently received from a young man who had been a talmid of mine at Kushner. Nachas! ...I wanted to thank you for your guidance over the years especially in encouraging me to learn daf yomi even if for one mesechet. i think learning that daf yomi changed my life. 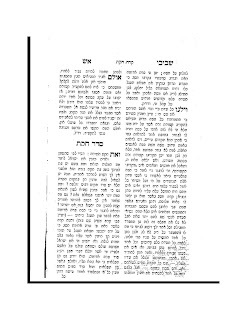 Although if i relearned those mesechtot that i learned back then today i would understand the gemara on a different level just in the pshat, that commitment and learning i believe provided me with a shield from the pressures of Kushner and it was one of the main reasons Hakotel decided to accept me. 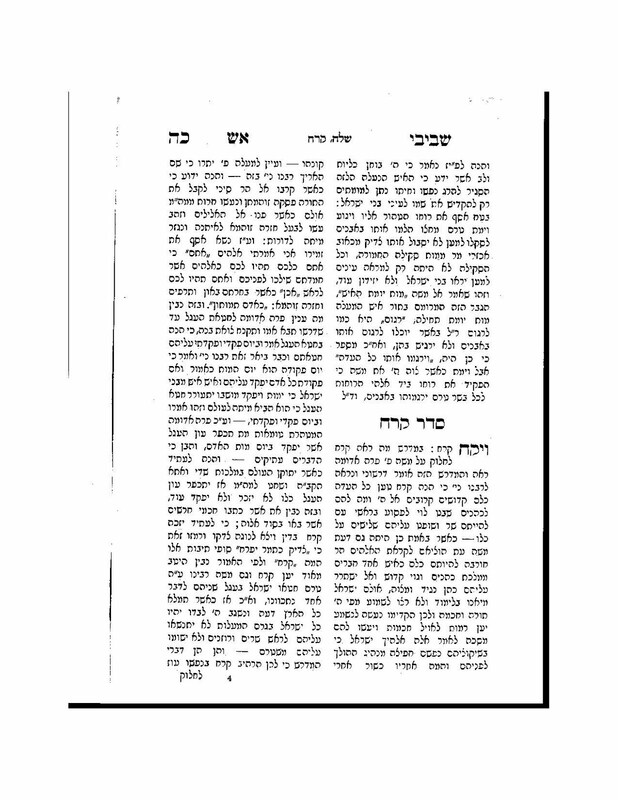 Today i feel comfortable learning my bikiyut with rashi and tosfot which is something in my wildest dreams i never thought i would do (let alone learn without artscroll!). i can do this because i was accepted to Hakotel which facilitated my growth, zionism allowed me to mature by going to the army through them and really commit to my learning by spending 4 years in yeshiva in hesder. i will probobly not become a rabbi, nor a teacher, but these years in yeshiva really have developed me into someone i am proud of an i would like to believe is considered a ben torah, and a give you a great portion of the credit. Thank you for tolerating us/me, for guiding me, had i listened to Rabbi [Deleted]'s criticism of learning daf yomi and learning with artscroll, i probably would not be where i am today so i thank you. Thank you!